Alice Drury: It was lunchtime on September 24, 2012, when I got the call from the U.S. Coast Guard. It involved a sinking boat, some spilled oil, and author John Steinbeck. But I wouldn't discover this last bit until later. First, I learned that the F/V Gemini, an old fishing boat moored in Washington's Puget Sound, had sunk directly underneath the Twin Bridges in Swinomish Channel. On its way down, the vessel was slowly leaking diesel. The leak was slow enough and the oily sheen on the surface of the water was so light that the spilled oil was unrecoverable. Because the water isn't very deep in that area, the upper portions of the sunken boat were visible above the water. Responders very quickly surrounded the boat with protective boom to contain the leak. I worked with the oceanographers and biologists in my office to provide scientific support not only for this situation but also the worst-case, "what-if" scenario—in case something goes wrong and all of the Gemini's fuel spilled into the surrounding waters. Fortunately later that afternoon, divers succeeded in pumping the remaining fuel off the Gemini, and the response team was coordinating with the owner to raise the vessel from the channel's bottom. But it wasn’t until that evening that I noticed in a report the boat was actually named the F/V Western Flyer, not the F/V Gemini, which was only a modern nickname. This led to very interesting—and unexpected—lesson on the history and literature of this creaky wooden boat sunk in the Swinomish Channel. That's when NOAA fisheries scientist and budding ship biographer Kevin Bailey—and John Steinbeck—entered the picture. Kevin Bailey: The day the Western Flyer sank, I was visiting the Fisherman's Wharf in Monterey, Calif., the boat's old home in another life. I was there to research a book I am writing about the Western Flyer and was talking with Tim Thomas, the Sardine Guy, who gives walking tours of the harbor and Cannery Row. I learned about the sinking a few days later when a friend forwarded me a notice linked to NOAA's Office of Response and Restoration IncidentNews website. The Western Flyer is a porthole to the marine environmental history of the northeast Pacific Ocean. Constructed in Tacoma, Wash., in 1937, this wooden-hulled purse seiner lived several lives—surveying in Alaska, fishing for tuna off La Paz, Mexico, seining for sardines near Monterey, Calif.—before it entered literary history as well. 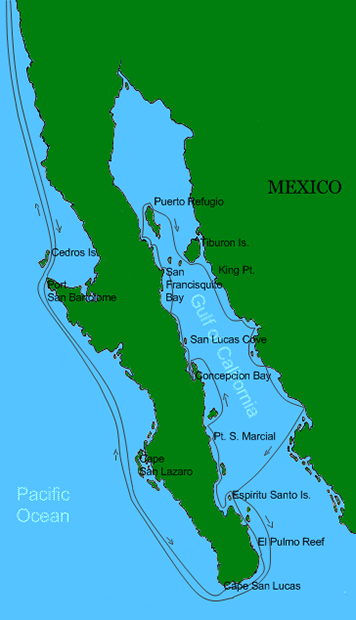 The route around the Gulf of California which John Steinbeck and Ed Ricketts took aboard the F/V Western Flyer in 1940. Credit: Wikipedia, Creative Commons. In 1940, only a few years after publishing Of Mice and Men and The Grapes of Wrath, writer John Steinbeck, along with his good friend marine biologist Ed Ricketts, chartered the Western Flyer out of Monterey for $2,500. They were preparing for a six week research cruise to the Sea of Cortez, also known as the Gulf of California. While the Monterey newspaper characterized the group as "perhaps the strangest crew ever assigned aboard a local work boat," Steinbeck and company managed to sample the marine life while carousing their way down the coast of Baja California into the Gulf of California and back again. This voyage was made famous in Steinbeck and Ricketts' book, The Log from the Sea of Cortez, the republished narrative of a less successful earlier account and which serves as both a travel log of the trip and a look into Ricketts' influence on Steinbeck. Steinbeck's experience on the Western Flyer led him to create elements of his later works, including Cannery Row and The Pearl. After Steinbeck and Ricketts' voyage, the Western Flyer would make its way back to the Pacific Northwest, changing hands several times and taking new shape as a fishing trawler. It would haul tens of thousands of pounds of Pacific Ocean perch, a fish known to live up to a hundred years. It would spend the early 1960s surveying more than 20,000 square miles along British Columbia and Alaska in the most extensive fishery survey of that coast up to that time. It would head to Dutch Harbor, Alaska, where it would seek out red king crab, with a cook on board who would later turn out to be the father of a character on Deadliest Catch, a TV series about Alaska king crab fishing. In 1970, the boat's owner at the time had a penchant for the NASA space missions, renaming the vessel the Gemini. After changing ownership several times again between 1971 and 2010, the Gemini finally ended up in Washington's Swinomish Slough under the Twin Bridges on State Route 20, where it's been sitting since 1997, next to the Swinomish Casino and Lodge. The Western Flyer/Gemini's most recent owner is an Irish immigrant, a real estate developer living in Key West, Fla. He owns several downtown buildings in John Steinbeck's hometown of Salinas, Calif. When he bought the boat in 2010, he had a plan to restore the Western Flyer, somehow get the boat down to Salinas, and park it inside one of the buildings as part of the decor of a restaurant and boutique hotel. 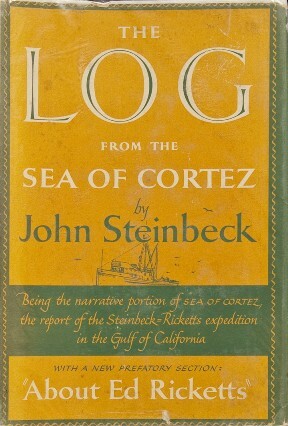 The cover of John Steinbeck's "The Log of the Sea of Cortez," the book written about Steinbeck and Ed Ricketts' expedition on the F/V Western Flyer in 1940. Meanwhile, the boat sat idle for nearly two years—until it sank this past September. The owner told me the boat sank quickly to the bottom because a couple of planks had given way. I watched a crew refloat the boat at the beginning of October. 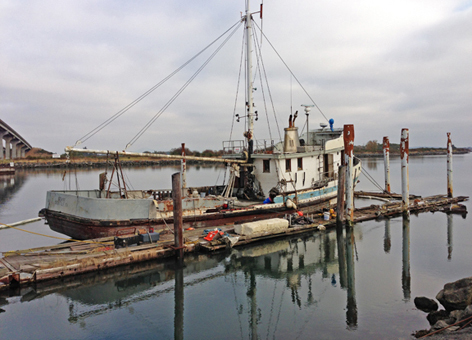 It seemed hesitant to rise off the bottom where it had rested in the soft mud of the Swinomish Channel for two weeks. But finally the workers succeeded in lifting the vessel, pumping the water out, and putting a temporary patch over the hole. The owner is sincere about his plan to restore the boat in some fashion, but because of the damage from neglect and sinking, it is going to be an expensive venture, maybe exceeding $600,000. There's a nonprofit group called the Western Flyer Project that wants to bring the ship back to Monterey for restoration, but they don't have the resources to do it right now. We'll have to wait and see what happens to this historic cultural icon, as it continues its rise from the depths. LTJG Alice Drury is part of the NOAA Corps, where she was assigned first to NOAA Ship McArthur II for two years. LTJG Drury is now assigned as the Regional Response Officer in OR&R's Emergency Response Division. In that assignment she acts as assistant to the West Coast, Alaska, and Oceania Scientific Support Coordinators. Kevin McLean Bailey started his career as a marine fisheries biologist and ecologist in 1974 after graduating from the University of California at Santa Barbara. He later obtained his PhD from the University of Washington. He is a Senior Scientist at the Alaska Fisheries Science Center. He is currently writing a book on the Western Flyer and the environmental history of the west coast.